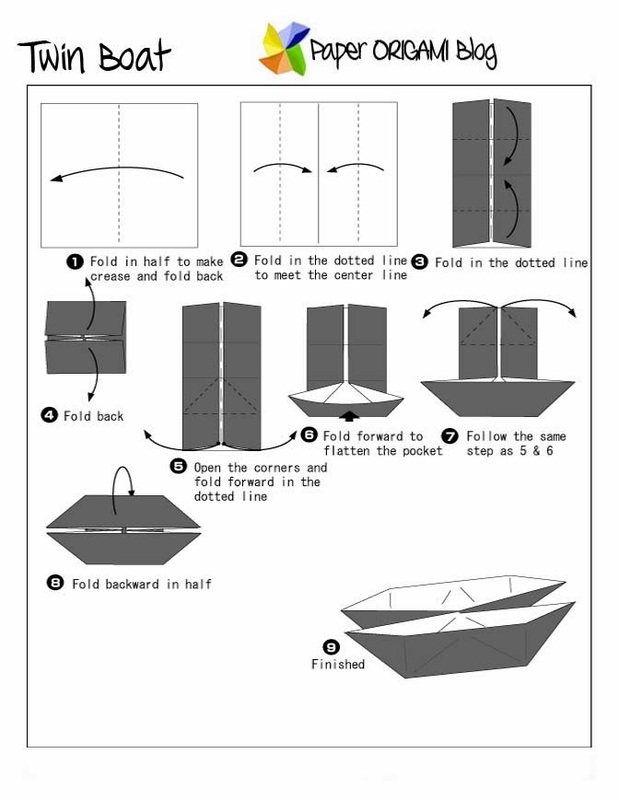 Twin Boat Origami- Most of the Boat Origami I've encounter is single. This tutorial is making twin boat. Children will gonna love this. I know They always wanted to play boat toys especially if its raining. Look at the diagram below its so easy and fun to do.